"tAttachApkInstaller" is software that enables the installation of the software attached to Gmail. Even if mail that appends the application (APK file) is received, it is not possible to install it with Gmail on Android. 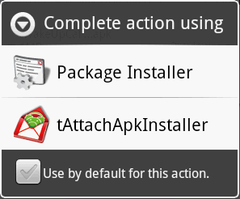 "tAttachApkInstaller" is software that enables the installation of the application appended in the Gmail. This software doesn't display the icon on the home. When the preview button of the APK file is pushed on the Gmail, it starts. Add high and low resolution icon. 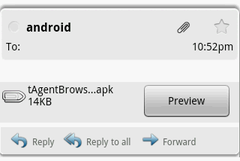 When the APK file (Android application file) is received as an attached file on Android, the preview button is displayed. When the preview button is pushed, the selection screen is displayed. tAttachApkInstaller starts the package manager of the Android standard tAttachApkInstaller. 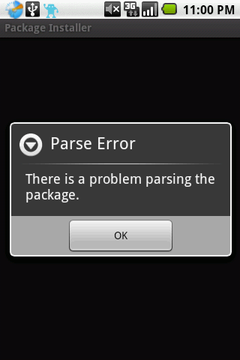 The following messages are displayed, and it is not possible to install it. 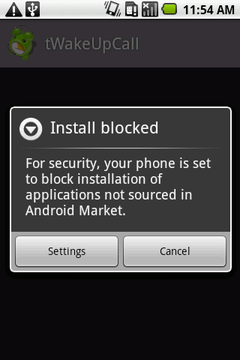 It is necessary to change optional security to install it from places other than Android Market in Android. 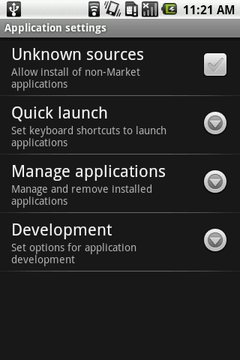 Please change the setting when the following screens are displayed. 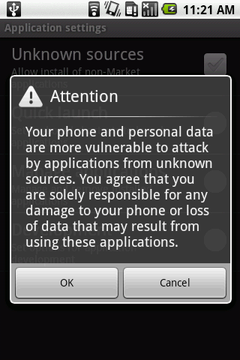 The check is applied to "Unknown sources"
The attention dialog comes out. The check attached to "Unknown sources".Please return to the installer with the back button. 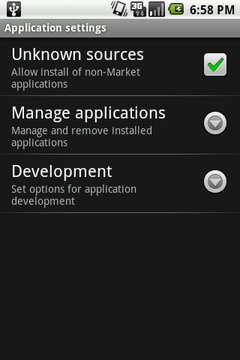 Download from Android Market "Applications -> Communication". When software is appended and sent to mail, it comes to be able to install it by sending the following messages at the same time on the receipt side. We make a customized development of software for Android and iPhone. Please feel free to contact us at any time.